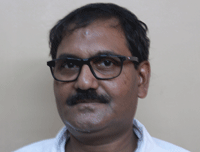 Panchanan Das is a Professor of Economics teaching Advanced Econometric Theory and Analysis of Cross Section, Time Series and Panel Data at the Department of Economics of the University of Calcutta. Development Economics, Indian Economics, and Applied Macroeconomics are the broad research area of Prof. Das. He has published several articles in referred journals like Economic and Political Weekly, Asian Development Review, Indian Journal of Labour Economics, The Journal of income and wealth, Int. J. Management Concepts and Philosophy, The Bangladesh Development Studies, The Journal of Industrial Statistics and Journal of Quantitative Economics. He is a principal author of Economics I and Economics II, and Microeconomics I and Statistics, published by Oxford University Press, New Delhi. He is a major contributor of West Bengal Development Report – 2008, published by Academic Foundation, New Delhi, in collaboration with the Planning Commission, Government of India. He has also contributed to the Routledge volume, Springer volume, Science and Technology volume of the CSIR, and Edward Elgar volume.